One serious problem that many users face is “Windows Defender Blocked by Group Policy”. This generally comes up when we try to run Windows Defender. 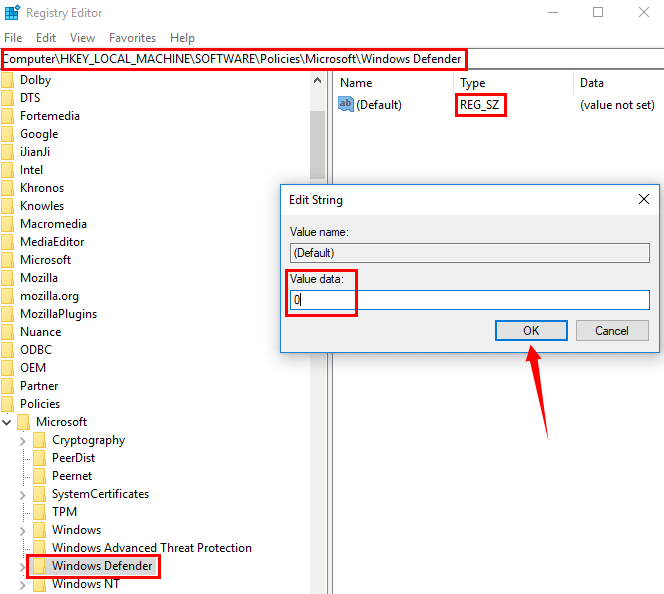 In this article you will find different methods on How to fix Windows Defender Blocked by Group Policy error on Windows 10, 8 and 7. But before that let me list all the major causes that leads to this error message. There might be many possible causes behind the occurrence of “Windows Defender Blocked by Group Policy” error. We listed below some of the common causes of the occurrence of the error. One of the most common cause for “Windows Defender Turned off by Group Policy” error is the third party Antivirus. If we try to install any third party Antivirus in our windows, it will immediately turn off the windows defender. Our windows have its pre-installed Antivirus known as windows defender which protects it from any third party software. Since while try to install another antivirus, the conflict between the software freezes and crashes the other software. Therefore, windows defender turn off itself to avoid further conflicts. Another common causes is incorrect date and time. Most of the programs and functions of Windows will operate with Date and time and incorrect data will cause the formation of errors in windows. There are certain features that requires your Windows to be Updated. Let us look into the methods on how to overcome this problem. The first method is to turn on the Windows Defender from the Local Group Policy settings. You just need to go through the settings of local group policy and turn on Windows Defender from there. Follow these steps to turn it on. Step 1: Hit Windows key + R simultaneously to open Run program. 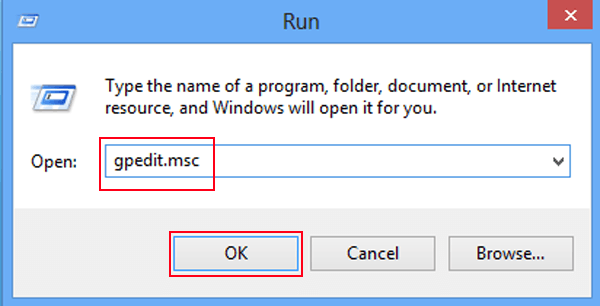 Step 2: Type gpedit.msc and press enter to open Local Group Policy Editor. 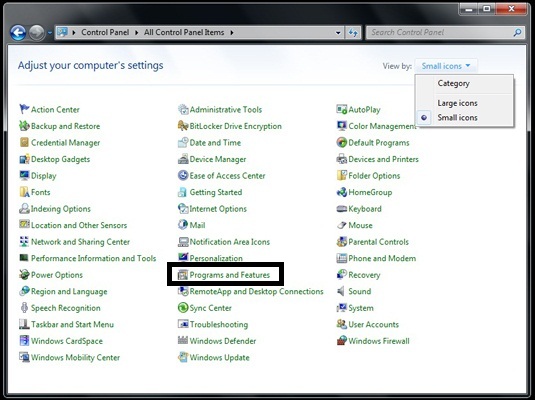 Step 3: Navigate through Computer Configuration > Administrative Templates > Windows Components > Windows Defender from the left pane of the Local Group Policy Editor window. Step 4: From Windows Defender folder, search and double click over Turn off Windows Defender. Step 5: Since the windows will appear, select the radio button of Not Configured (make sure it is not enabled). Step 6: Click on the Apply button. Select Ok to complete the process. 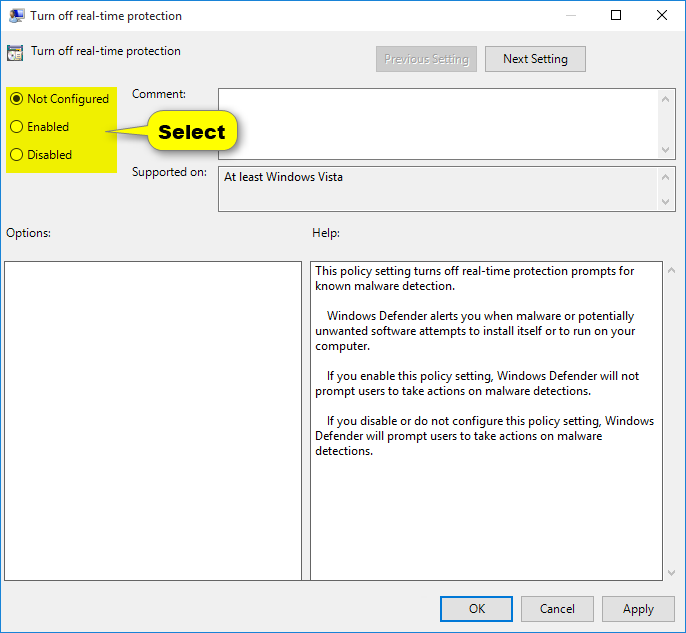 This method has been proven to be the the best remedy to fix “Windows Defender Blocked by Group Policy” on Windows 10, 8, 7. It is a bit complicated but it is one of the best ways to fix this Windows defender error. Follow these steps to modify the registry. 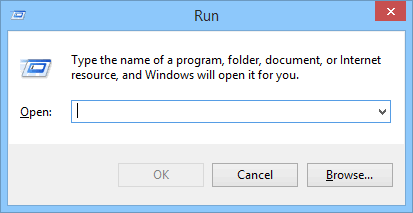 Step 1: Press Windows key + R simultaneously to launch the Run Program. 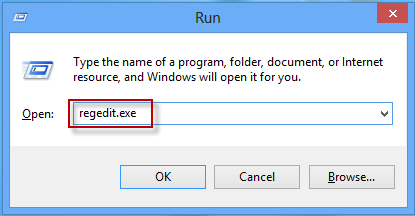 Step 2: Enter regedit.exe and press Enter key( sometimes it would ask for permission to run, click OK to continue). 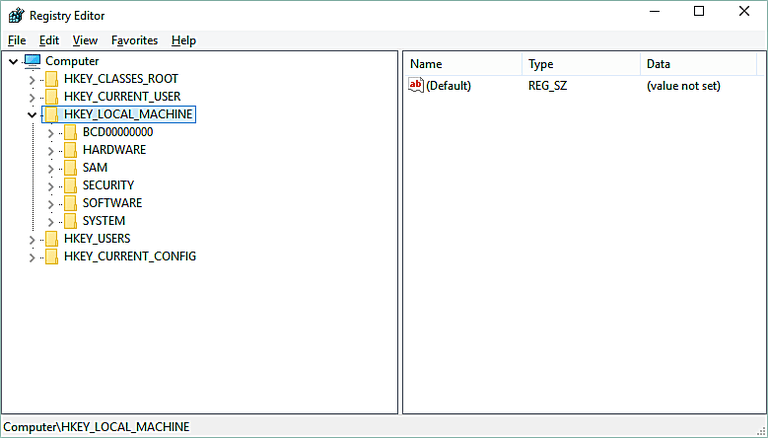 Step 3: The registry editor window will appear. Navigate through Computer > HKEY_LOCAL_MACHINE from the list at left panel. Step 4: Further select SOFTWARE, drop down list will open. Select the Policies folder under SOFTWARE. Step 5: Inside Policies folder, you will find Microsoft subfolder, click to open it. Since inside it, you fill further found Windows Defender folder. Double click the folder to open the files it contains. Step 6: You will found Default file inside it. Double click to launch the file. Edit String window will appear, enter 0 at “Value data:” option. Press OK to continue. 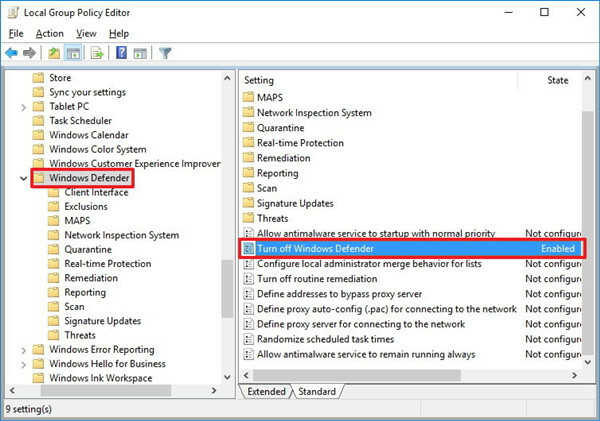 Step 7: Check for the Windows Defender is turned on from the Control Panel. We already discussed that it must be the result of conflict between Windows Defender and third party Antivirus. You can uninstall any third party Antivirus to fix this problem. 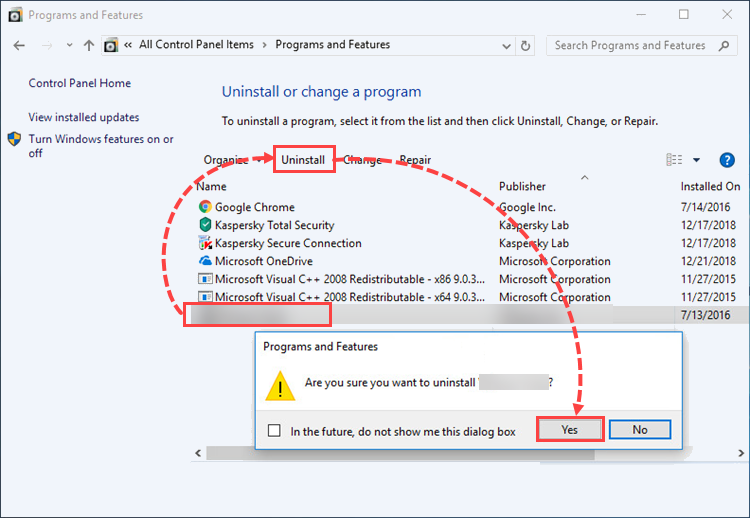 Follow these steps to uninstall. Step 1: Navigate through Control Panel > Programs and Features. Step 2: Select the third party antivirus from the list given. Step 3: Right click over it, select Uninstall. Complete all the steps for uninstalling the antivirus program. Step 4: Restart your computer to take the uninstallation in effect. 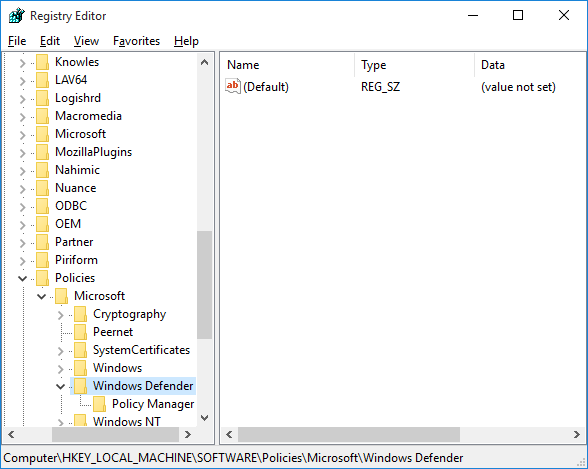 Another way to fix Windows Defender turned off by Group Policy error is by using command line. You can run certain commands to turn on Windows Defender. Follow these simple tips to turn it on. Step 1: Press Windows key + R to open Run. 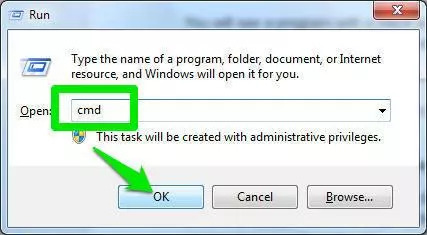 Step 2: Enter cmd and press enter to launch Command Prompt. Step 3: When it opens, type REG DELETE “HKLM\SOFTWARE\Policies\Microsoft\Defender” /v DisableAntiSpyware. Step 4: Press Enter to continue the command to work. Step 5: Restart the computer to consider the changes in OS. We have put all the possible causes and methods to fix “Windows Defender Blocked by Group Policy” error. You should pick any of the methods as they all work with the same efficiency. Do not try to skip any of the steps while working with any of the given methods. It can cause serious harm to your computer. It is advised to reboot your Computer after completing the procedure of fixing it. You can ask about queries with the help of comments.